Ejendals have won gold in the annual IDEA, International Design Excellence Award, with their Tegera Pro Vibration Control gloves, which has been developed in partnership with Ergonomiddesign. IDEA is recognized as a prestigious competition for design. “It is obviously feels incredibly exciting and we do not really understand how huge this actually is. At the same time, this is a sign that we have succeeded in our work” says Lena Prytz, Ejendals’ Product Manager for gloves. The evaluation of the Tegera Pro Vibration Control gloves is based on criteria such as industrial design, excellence in design innovation, benefit to the user, benefit to the client/business, benefit to society, ecological responsibility and appropriate look and usability. The Tegera Pro Vibration Control gloves are vibration absorbing gloves made of thin and flexible Microthan. They feature vibration absorbing lining in the palm, Velcro closure, reinforced index finger, reinforced seams, curved fingers, specially designed thumbs and lycra between the fingers. The Tegera Pro Vibration Control gloves are chrome free and approved according to EN ISO 10819. 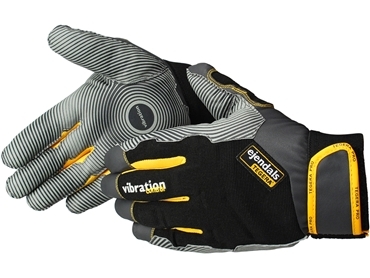 The Tegera Pro Vibration Control gloves are available from BSafe Safety Products .